Ever thought of living on islands made ​​of reeds? 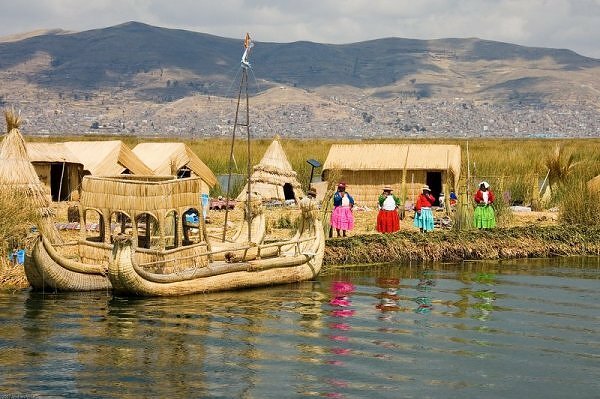 Uro Indian tribe that lived in the Lake Titicaca preserve hereditary customs inherited from their ancestors. Lake Titicaca is located at an altitude of about 3820 m above sea level, is the highest lake in the world that can be passed by the ship. The lake that forms a natural border between Bolivia and Peru has a latitude north-south along the 190 km by 80 km along the widest side, as well as the surface area of ​​approximately 8300 km2. The average depth of about 100 m, the deepest point of about 280 m. According to legend, the Incas came from the dalamannya. In the middle of the lake, there are several floating islands inhabited by a tribe of Uro. 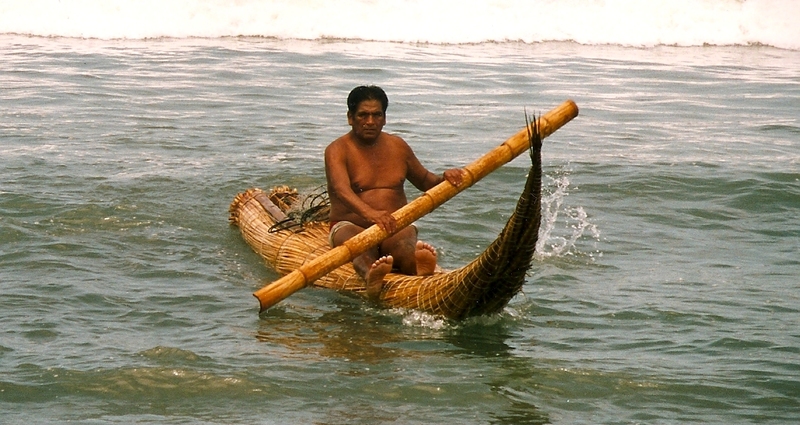 They live from fishing, hunting birds and of course the water reeds (Totora). Later, they also live from tourism that is slowly changing the local culture, including the results of their craft. Reed is a very important element for the tribe Uro, even those who live on floating islands made ​​of stacks of dried reeds. Basic floating islands are slowly going to rot at the base of the water. In order not to sink, the occupants of the new reeds piled on top of it, and so on. Walking on the island is an experience in itself, especially for us who are familiar with a stable base. In addition to the island, boats and their shanties made ​​entirely of reeds. Suspected tribal Uro form a community in the middle of the lake to break free from the influence of the Incas. But the descendants of the tribe Uro now, most have a mixture with other tribes such as the Aymara and Inca.